Ever wonder what became of that unfortunate Belgian clerk in Conrad's Heart of Darkness, who insisted upon wearing a starched collar despite the stifling Congo heat? Italian journalist Orizio shows that he may well have stayed on. 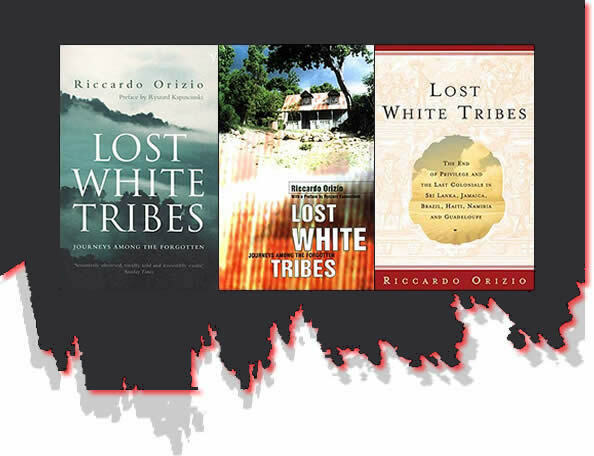 Like Ryszard Kapuscinski, who provides a brief foreword, Orizio has a wonderful eye for cultural anachronisms and uncovers colonial remains in the form of white enclaves in Third World settings. His six subcultural portraits follow a similar pattern (which by no means detracts from their appeal), personalized by his subjects' discussions of their peculiar insider/outsider position. 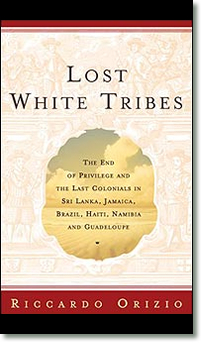 The opening chapter takes Orizio to Sri Lanka, where he contacts the remnants of the Dutch community, a group that originally arrived some 400 years ago with the Dutch East India Company and, for whatever reason, chose to stay on after the collapse of Dutch rule. Now they are doubly isolated not only have they lost their mother tongue, but they never acquired the national language, Sinhalese. Instead they speak English, the language of an intervening empire. And with whom do they identify? Orizio ably addresses that complicated question, conveying the ambiguities of identity that attend these historical holdovers by amplifying their voices with background information. All of the countries Orizio visits house small communities of whites who have been bypassed by history. Although Orizio (now editor of CNN Italia) refrains from drawing any overarching conclusions from these disparate narratives, he successfully conveys the dilemmas posed by being a member of a vanishing postcolonial tribe.